List of furniture repair skills involving many materials including wood, leather, brass, marquetry, parquetry and painted surfaces. 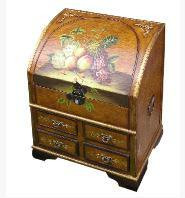 These encompass all aspects of the restoration, repair and rebuilding of antique and modern furniture. This includes ageing, cleaning and restoring finishes, through to designing and building from scratch. I also possess the complementary metalworking skills to repair hinges, handles, escutcheons, locks and keys and all types of brasswork. 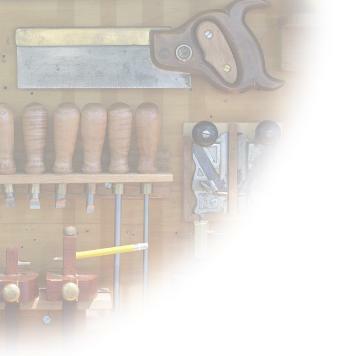 I am able repair and replace leatherwork, upholstery and painted surfaces as well as marquetry and parquetry. Repairing the damage caused by woodworm and insects and treating to avoid future infestations is a popular request: if you cannot see what I have done then I have done a good job! Finally I can undertake conservation surveys and provide insurance quotes and security marking. If your requirements are not covered by the above it is probably because of brevity - contact me for an honest answer.